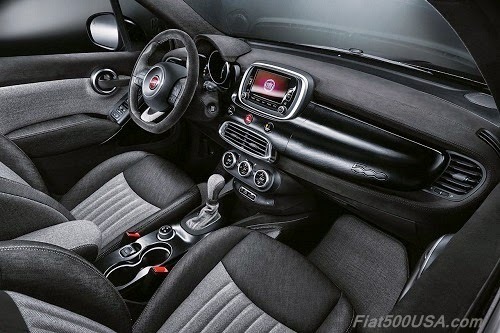 Fiat 500 1957 Edition Now in Cabrio! The retro looking Fiat 500 1957 Edition was a big hit last year. 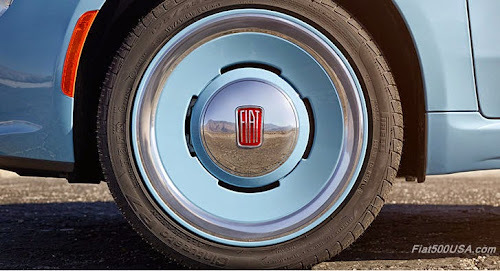 It was so successful, Fiat is bringing it back for 2015. What is more, they are introducing a CABRIO version! The Fiat 500 1957 Edition Cabrio has all the same features as the hardtop but with a Nero folding top. 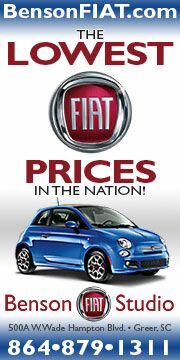 * Fiat Studios are placing orders now, so stop by and get yours in! 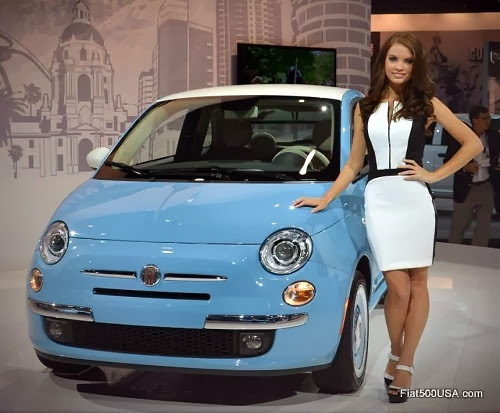 The Fiat 500 1957 Edition celebrates the original Nuova Fiat 500 that debuted on July 4, 1957. 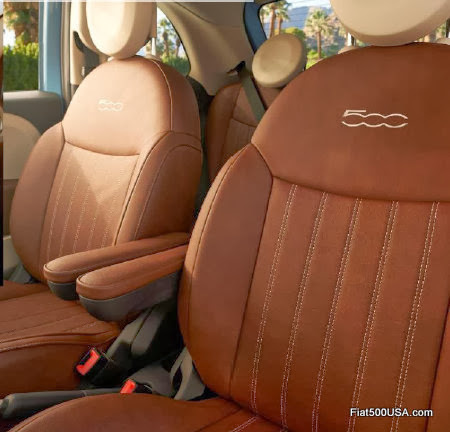 Based on the top of the line Fiat 500 Lounge, the 500 1957 Edition adds exclusive trim and features that separate this model from others. The Fiat 500 1957 Edition is very well equipped with all the standard features that the 500 Lounge model is known for: leather seats, all power conveniences such as windows, door locks, climate control and a six-speaker, 276-watt Fiat premium audio system with SiriusXM Radio just to name a few. The Fiat 500 1957 Edition presents a modern interpretation of the iconic model produced between 1957 and 1975. To achieve that, three vintage looking colors - Bianco (white), Verde Chiaro (light green) and Celeste (celestial blue) were selected. The last two colors in the hardtop version come with a Bianco painted roof and mirror caps for an authentic retro look. Special 16 inch forged aluminum wheels designed to resemble the steel wheels used on 1950 era Fiats standout. A sport tuned suspension makes the 1957 Edition a nimble handler, just like the original. 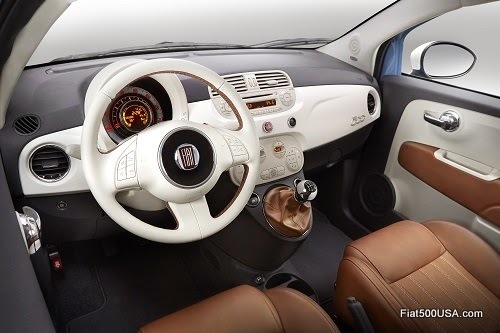 The classy looking interior is furnished in high quality Marrone (brown) and Avorio (ivory) leather and is lavished on the seats, shift knob and hand stitched steering wheel. Noteworthy are the unique grey door panels that have Avorio inserts with Marrone leather upholstered armrests. A stylized key fob with Marrone casing and Avorio-painted "1957" graphic is a nice touch. The interior and exterior are finished off with period correct Fiat badging. *UPDATE 4/16: Preliminary information from company sources indicated the soft top would be white. However, it has been confirmed that production models will have a black Nero top. Abarth showed off its 2015 model range at the Geneva Motor Show earlier this month, Abarth street models for Europe consists of the Abarth 500, 595 and 695 series cars, the Abarth Punto Evo having bowed out of production in 2013. 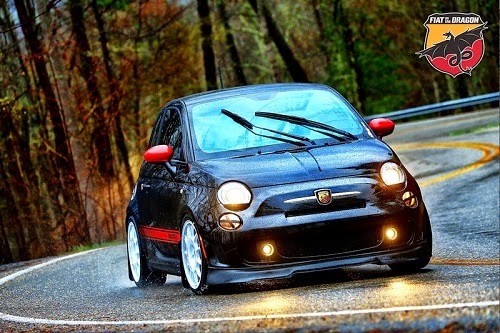 As for last year, Abarth 500 sales reached 6,869 in EMEA, up 12.2% over 2013. By the way, what is called the Fiat 500 Abarth in the NAFTA market is technically known as the Abarth 500 in most of the world. Abarth being its own division in Fiat or, as it is now called, FCA (Fiat Chrysler Automobiles). 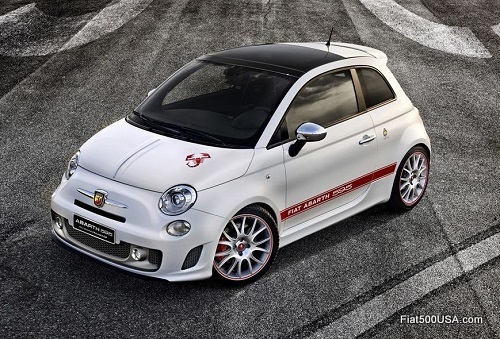 For 2015, the Abarth lineup starts off with the Abarth 500 Custom. The base Abarth is equipped with a 1.4 L T-Jet engine which, unlike the North American 500 Abarth, does not feature MultiAir. 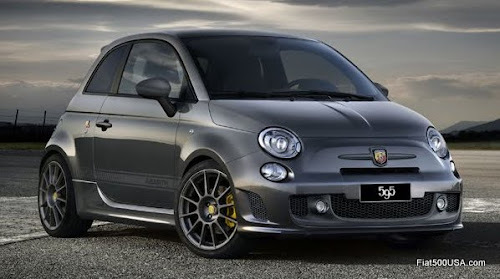 Horsepower for the European Abarth 500 Custom is rated at 135 for cars with the 5 speed manual transmission or 140 for cars with the 5 speed automated transmission. The later is called the Abarth MTA (Manual Transmission Automated) and is a C510 manual transmission with automated controls added on. 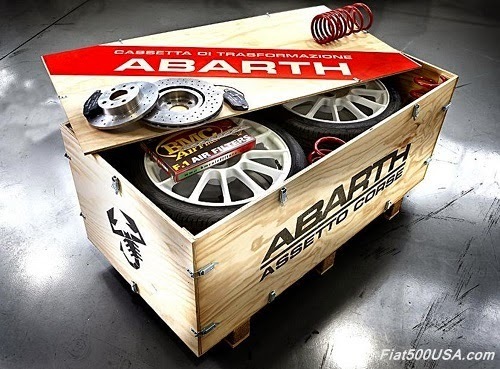 Customization is the hallmark of Abarth, and the 500 Custom has a plethora of options available. Next up in the range is the 595 series cars. 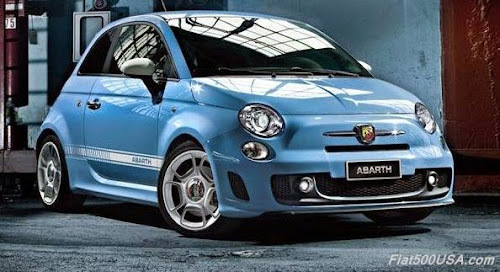 The Abarth 595 models offer more horsepower (160-180hp), a higher level of equipment plus comes in 16 colors! 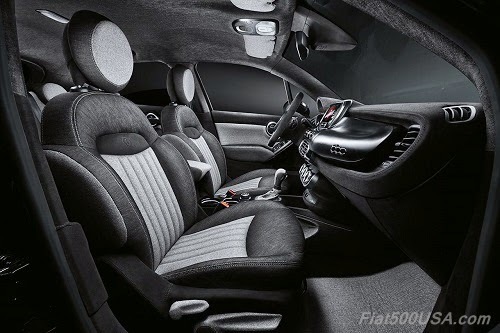 The 160 hp 595 Turismo has leather seats, climate control and 17 inch wheels as standard. 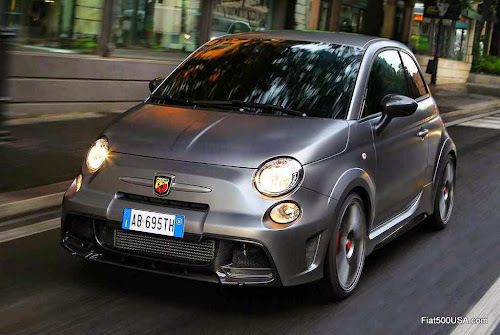 Going to the 595 Competizione brings even more equipment: the 180 hp engine, Brembo 4 piston caliper brakes and the coveted Sabelt seats Abarth enthusiasts around the world long for. Standard xenon headlights are also part of the package. The Abarth 500 Custom and 595 series cars are available in Cabrio form. Abarth also offers the 695 as well as its "Specialties" series for those who want even more performance and aren't limited by budgets. The range-topping Abarth 695 biposto is the most over the top version yet and typically costs 40,000 - 69,000 Euros depending on equipment. 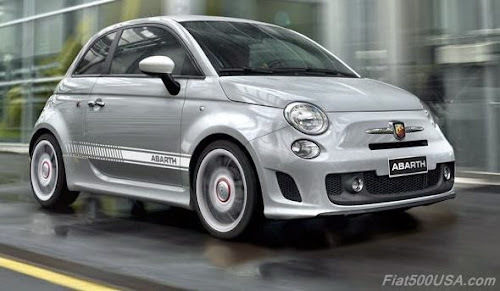 By comparison, an Abarth 500 Custom starts at approximately 19,000 Euros. Dubbed the "littlest supercar," the 695 biposto is a car enthusiasts wishlist of performance accessories. A coilover suspension, 18 inch wheels, an AIM Data Logger, Akrapovic dual-mode exhaust and a 190 hp engine are just a few items that turn the 695 biposto into one angry street car. 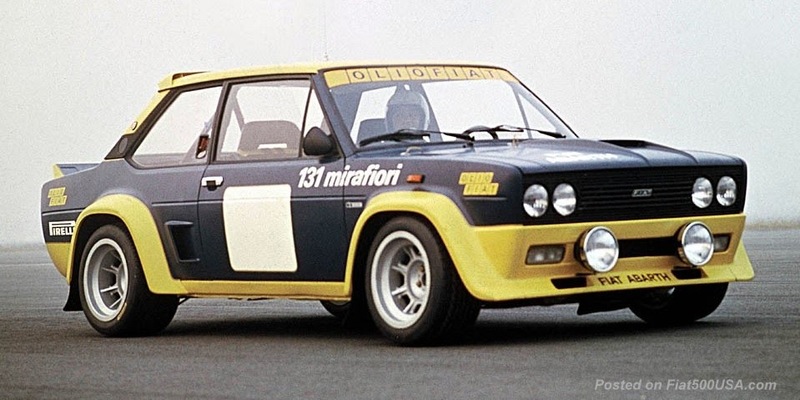 The biposto has the distinction of having the most hp ever offered in a street going Abarth in addition to being the only street legal car in the world with a racing type dog-ring gearbox. The Abarth "Specialties" are limited production cars that usually have a commemorative theme. Currently, there is the 595 50th Anniversary and 695 Edizione Maserati listed as available, but don't be surprised if other models will be added during the year. 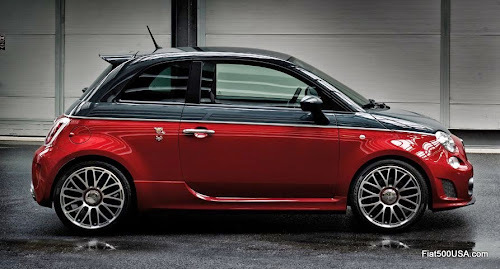 Besides the cars, for 2015 Abarth is emphasizing the customization and tuning kits available for the various models. 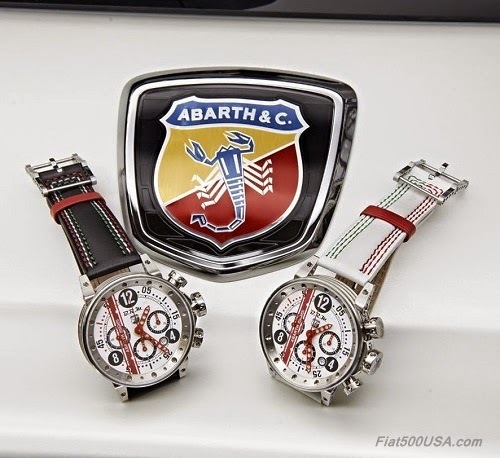 Finally, because Carlo Abarth was a man of style as well as a savvy entrepreneur, Abarth & Co offers a full range of fashion accessories, clothing, and assorted swag. • Debuting at the Geneva Motor Show this month was the Fiat 500X equipped with the Dual Dry Clutch Transmission (DDCT) and the 1.4 liter MultiAir II 140 HP engine with all-wheel drive. This powertrain combination, which will be available in Europe in the coming months, will not be available in the US. • Also premiering at Geneva was the Fiat 500 Vintage '57, the European version of the North American Fiat 500 1957 Edition. 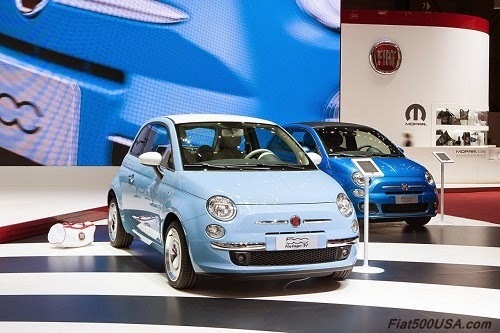 Last year, the show car version of the car was shown to the public at the show (New 2014 Fiat 500 Debuts At Geneva Show). 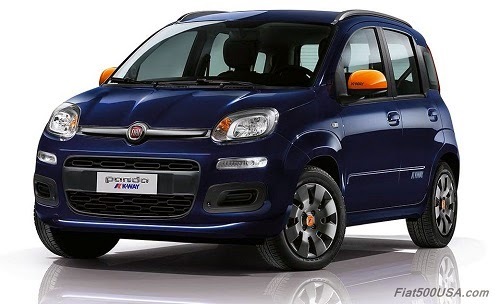 • Fiat showed off its new Panda K-Way. This special edition Panda is a collaboration with the Fiat brand and the clothing maker K-Way, a maker of fashionable outdoor and weather proof apparel. 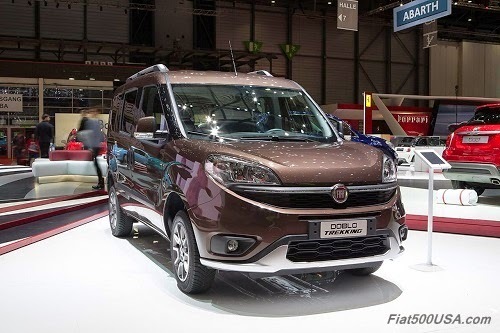 • The new Fiat Doblò Trekking equipped with the "Traction+" system debuted. Traction+ is an advanced traction control system that improves drivability on a variety of poor surfaces with limited grip. • Garage Italia Customs displayed their sophisticated Fiat 500X 'Black Tie" show car. 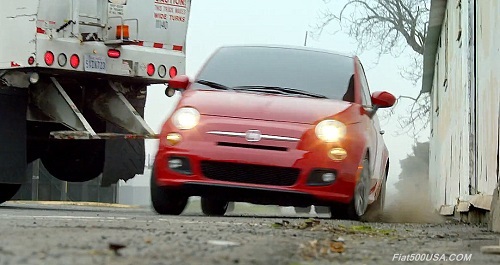 The latest Fiat commercial called "Big Italian Family" makes the point that the Fiat 500 hatchback is no longer alone! The imminent arrival of the Fiat 500X crossover in the next few months means that Fiat Studios will be able to offer somewhere around 25 versions of cars made up of various Fiat 500, 500L and 500X models. It truly is a big Italian family! 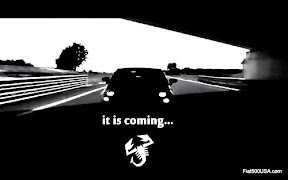 Benson FIAT Italian Invasion Tour Coming Soon! The Italians are invading the Carolinas! Now this isn't the kind of invasion news that makes the history books, though, This is about a great Fiat event taking place in the beautiful South and North Carolina countryside this Saturday, March 21. 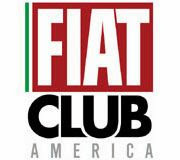 Benson FIAT, one of the country's top Fiat dealers, has invited Fiat owners to a drive tour. Starting at the Benson FIAT headquarter in Greer, South Carolina the tour will parade through the heart of downtown Greenville and proceed through the breathtaking roads in the area and beyond. Residents will be treated to seeing a column of various Fiat models that showcase Italian style and design moving throughout two states. 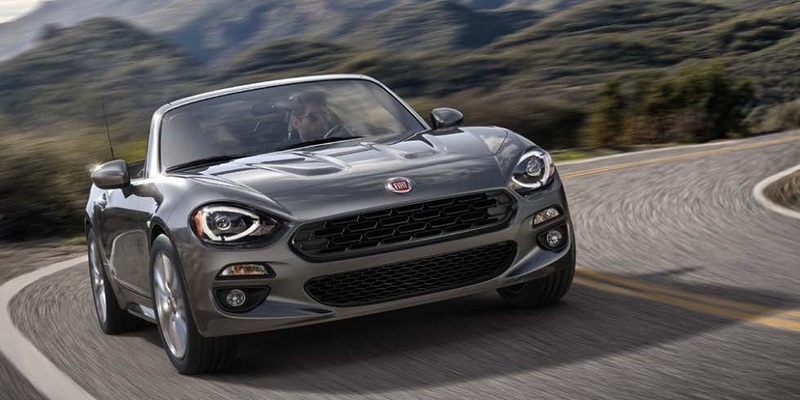 Besides it being a fantastic way for Fiat owners to spend the first Saturday of Spring, it is also no better way to show the public the Fiat lifestyle of fun. 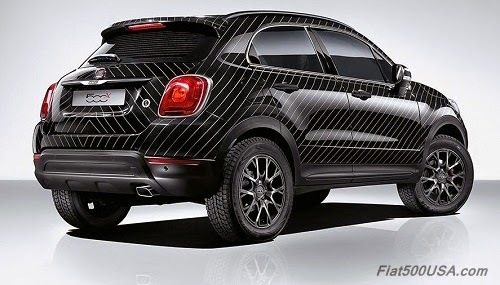 The Fiat 500X "Black Tie" show car debuted at the Geneva Motor Show last week. The car is a collaboration between Fiat and Garage Italia Customs and showcases the elegant side of the 500X. Using materials normally reserved for posh homes and exquisite clothing, Fiat 500X "Black Tie" looks like it should be parked in front of the home of a wealthy Italian entrepreneur - which is exactly who the designer Lapo Elkann is. For those who don't know, Lapo Elkann, noted fashion icon and a regular on the world's best-dressed list is also an heir to the Fiat empire. 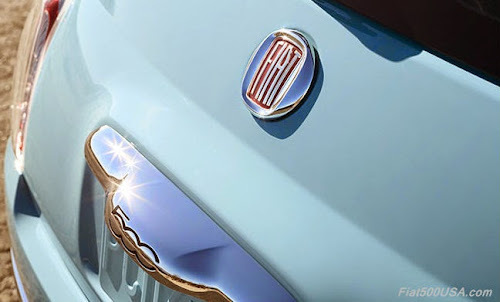 Elkann through his company Garage Italia Customs lavished his celebrated taste onto the new Fiat 500X. Outside, the 500X "Black Tie" is wrapped in a combination of chrome plated film and paint in a herringbone pattern. The roof features varnished solid wood roof rails and handles. Inside, Elkann uses quality materials to continue the elegant theme. Black Alcantara is used to cover the dashboard, panel structure and tunnel. 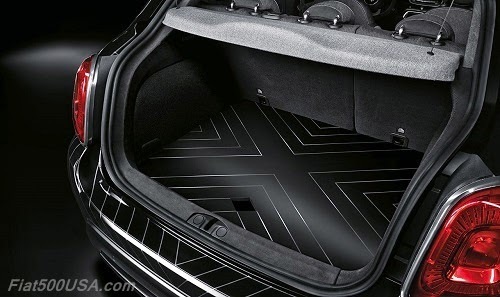 The lower pillar lining, kick plate and floor mats are also finished in black Alcantara with dark stitching. Black denim is used for the roof and upper pillar linings. The seats combine British-style cashmere, black leather edging and ice-color stitching with black denim trim. Cashmere and Alcantara are also used on the door panel inserts. Picking up the exterior's wood trim theme, the inner door moulding, central console, dashboard accents and the entire luggage cover panel are made of solid wood. Cars like the Fiat 500X "Black Tie" and the Mopar customized 500X give Fiat enthusiasts ideas on what they can do to their 500X. Mopar is working on more than 100 accessories for the 500X, many of which will be available shortly after the 500X hits the streets later this spring. 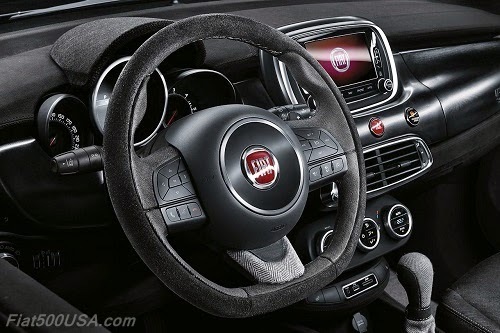 By this time next year, we predict the Fiat 500X will be one of the most personalized cars in its segment! Fiat sold a total of 3,289 cars in February, up 1 percent over the previous month, but down 5 percent compared to February 2014. 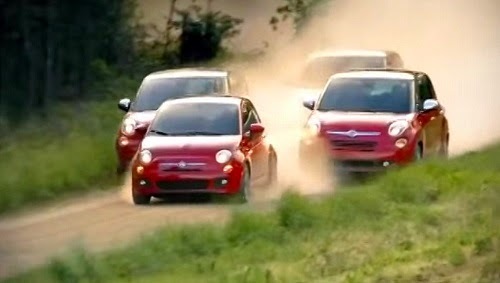 Year to date Fiat sales total 6,544, down 2 percent compared to this time last year. This is the first time the Fiat brand has not recorded year-to-date sales gains since December 2013. Automotive sales analysts say that the severe winter weather affecting much of the country has impacted sales last month. That, plus the overall low price of gas and growing small crossover SUV market have not helped sales of smaller cars. 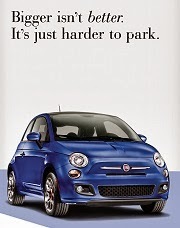 Still, there was some bright news for Fiat. Sales of the roomy Fiat 500L MPV were up 19 percent last month. 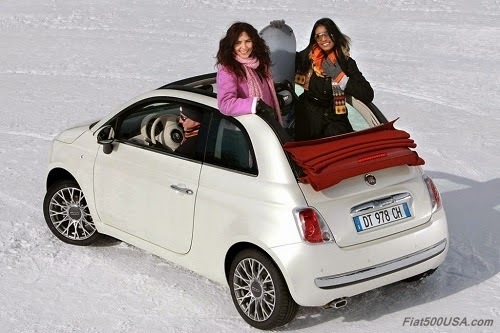 It was a record February for the 500L and the fourth consecutive month the 500L has recorded year-over-year sales gains. With the introduction of the Fiat 500X crossover due to arrive at Fiat Studios sometime in May or June, Fiat will be in a good position to take advantage of the blossoming CUV market. We'll be following the arrival of the Fiat 500X closely, so stick around. 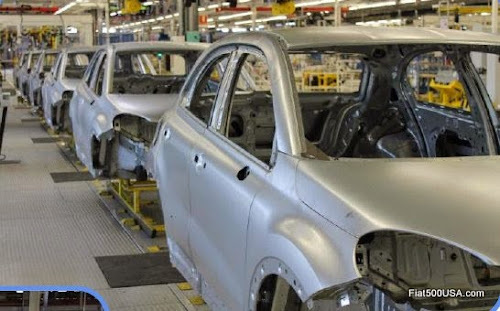 The big news is that production of the US Fiat 500X began last month. The Fiat 500X has received an excellent reception in Europe, with more than 71,000 hand-raisers signing up for more information on the Fiat 500X website. Fiat 500X was introduced to the American public by a TV Commercial played during the 2015 Super Bowl in February. Fiat Studios here in the US are receiving their preliminary order information and customers can go right now and choose one of these inbound units - ensuring they'll be among the first to have a car. 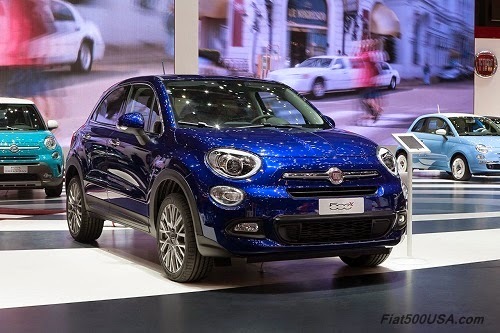 Deliveries of US Fiat 500X models are said to begin during May but more likely June. 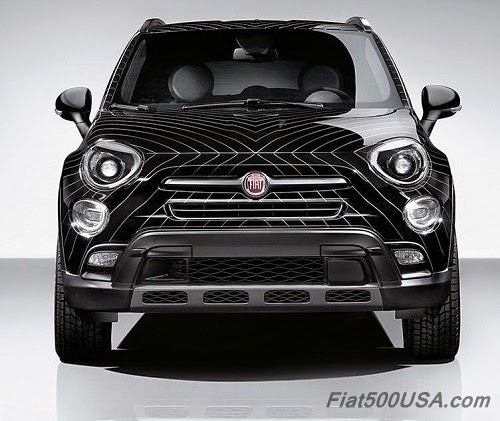 Fiat 500X US Production Beginning, Reserve Yours Today! The Fiat on the Dragon event registration is in full swing. The bi-annual Fiat on the Dragon is a family friendly event now in its third year. 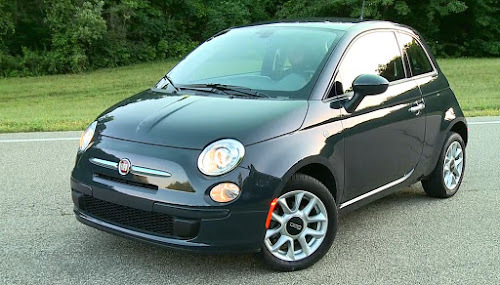 Fiat500USA.com and the Fiat 500 USA Forum have been a supporter since the beginning and are happy to announce we will be sponsoring the Friday picnic lunch and providing a raffle prize.